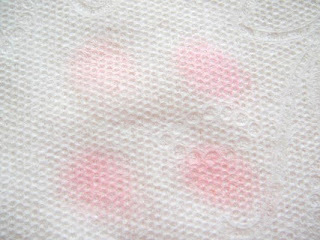 I wasn’t a blush person before, probably had 3 blushes the most because I think they all kind of have the same function, adding healthy color to the face. 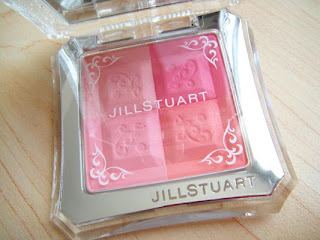 Until I found out about Jill Stuart’s Mix Blush Compact, I was totally sold by the cute packaging and sweet colors. I just have to have them. 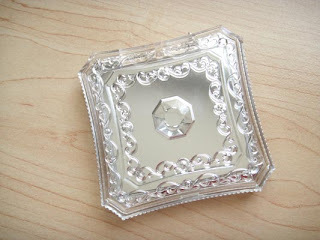 The compact is housed in a typical JS pale pink box with lace design around corners. 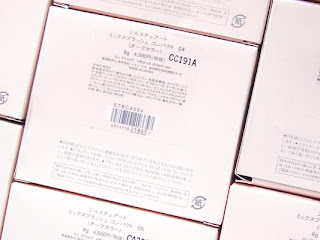 There’re 12 regular and 2 limited colors (called mix blush compact Illuminance) being released so far, too bad that I don’t have the LE ones. I’m not going to write a lot here, just going to have the pictures say it all. 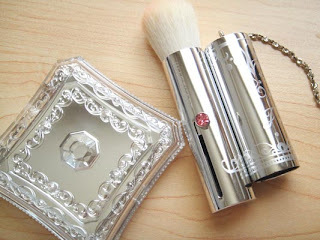 But I do want to point out that the brush and the chain is fully removable and the brush itself is goat hair. 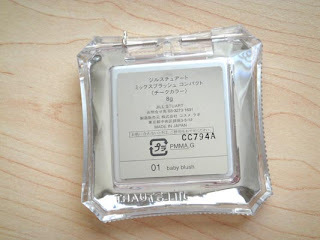 Today I’ll be showing you the color 01 Baby Blush. 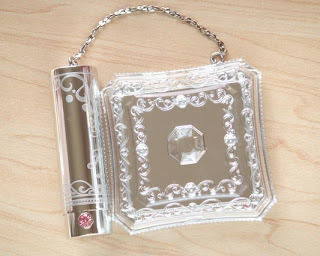 There’s a beautiful clear film inside to separate the blush and the mirror. As the name suggesting, this compact is mainly pink. The only one that’s shimmery is the top left one, so the final result is really subtle. I think this one is great for light skin tone and teenagers. It’s going to add a cute innocent tint to the face. I went to LUSH on Saturday and got the magic mushroom bubble bar. Thank you for letting me know that they still have them available 😀 I was sad that their new lip scrubs didn't come out to stores yet though, I was all ready to grab a few to try out! you mean you have all the shade except for the LE ones? holy moly! hahaha! 🙂 i have 07 lovely tulip and i love it! whats your fave? 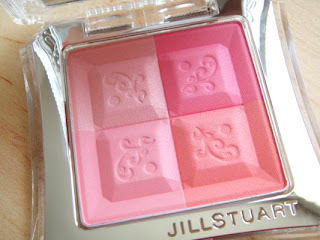 I love JS blushes and this color is so adorable!